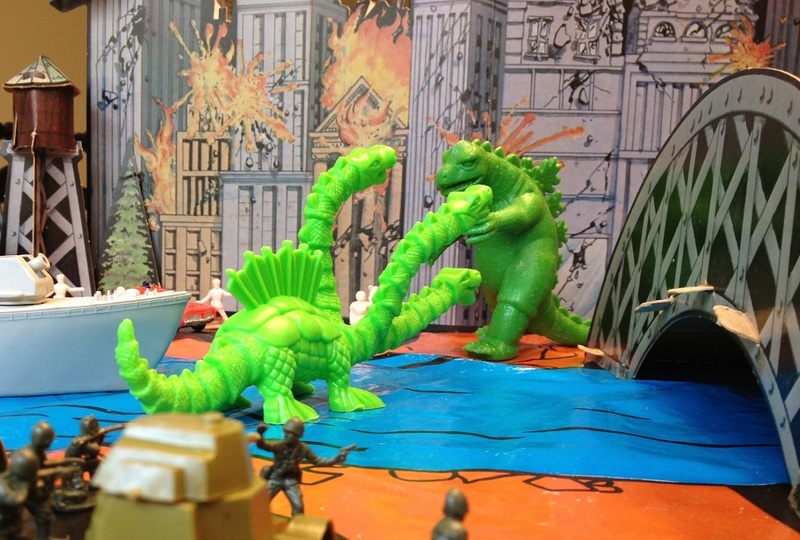 As far as I know, this is the only traditional playset featuring Godzilla produced by an American toy company in the ’70s and ’80s, and it’s interesting for a number of reasons (other than the one just stated). Second, the destroyer in the set is “missile-firing” (see warning on box) at a time when toys firing projectiles were being hastily recalled. Third, the box artist is likely Earl Norem, who painted the cover for HG’s Buck Rogers Galactic Play Set from the same year. It looks very much like Norem’s color scheme and style. 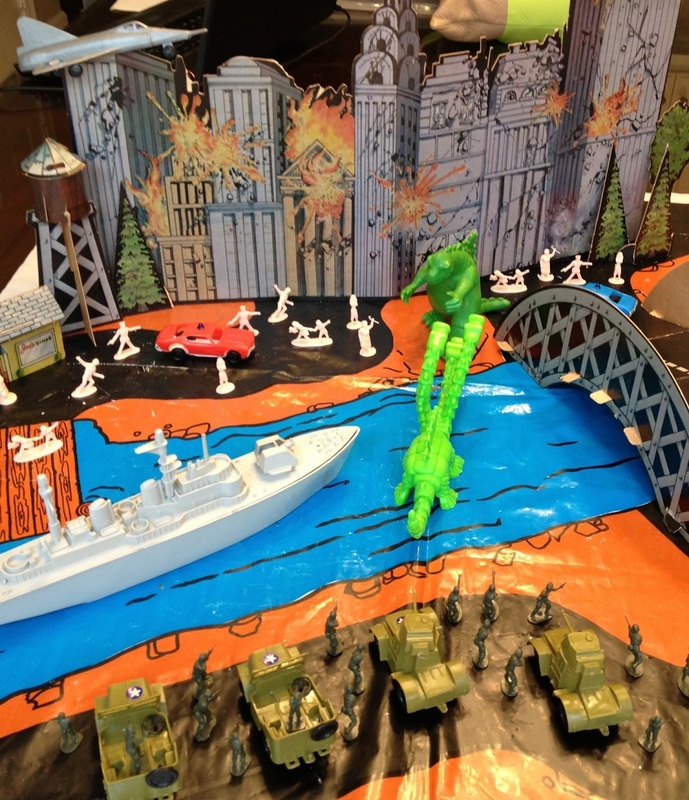 An expanded version of the playset art was used for a large Godzilla jigsaw puzzle, also issued by HG, also from 1979. The detailed human faces on the lower panel further convince me that Norem is the artist. 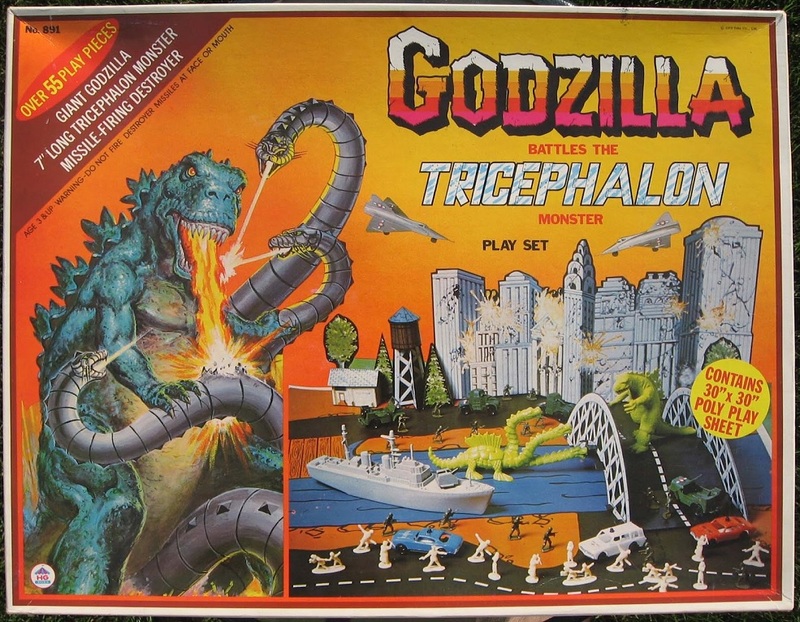 Check out The Sphinx (who makes the same point about Tricephalon anticipating Mecha-King Ghidorah) for close-ups of the Godzilla and Tricephalon molds, and for a listing of the set’s full contents. Had it as a kid till LaValley ruined my life. You’re totally right that it’s Norem. He did a lot of work for HG at the time, last year I helped him sell his original Alien puzzle art from the same period. That Alien puzzle is bloody fantastic, as is this one. I hope he got a bundle for the original art. And thanks for helping him! If there’s anything I can advertise here, let me know.